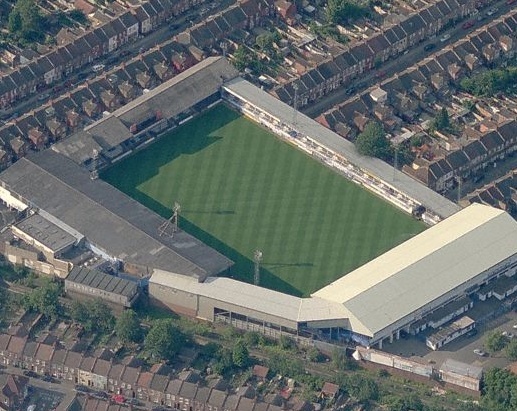 Take an aerial tour around Kenilworth Road (requires Google Earth). Exit the M1 at Junction 11, and join the A505 towards Luton. Follow the A505 for approximately 1.5 miles and Kenilworth Road is on your right as you leave the one-way system along Dunstable Road. To park, follow the one-way around, turning left, right and right again all in about 100 yards so that you do a complete U-turn and then take the second left into Ash Road. Continue down to the bottom, turn left at the end and the club is in front of you. Continue straight past the club and the road bends immediately over a dual carriageway bridge. You can join the M1 from the M25 at Junction 21A, which is Junction 6 of the M1. Exit at Junction 11 and follow directions above in From the North. If you are on the A1, leave at Junction 8 of the A1(M) and take the A602 towards Hitchin, then follow the signs to Luton along the A505. 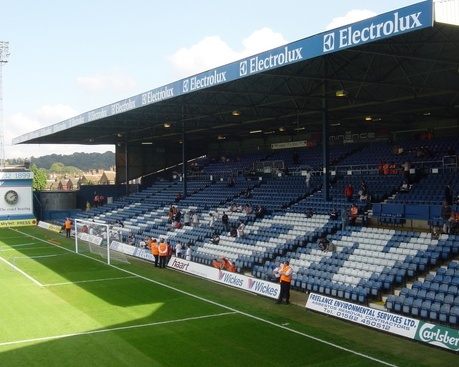 When you come into Luton, head for the City Centre and once you reach the one-way system, follow signs to Dunstable and you will see Kenilworth Road on your left. Come in on the A505 and follow the directions above in From the North. 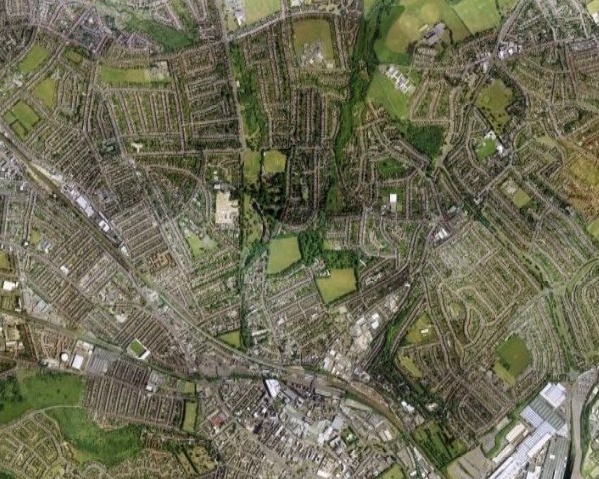 The nearest railway station to Kenilworth Road is Luton. The station is a 10 minute walk from the ground. 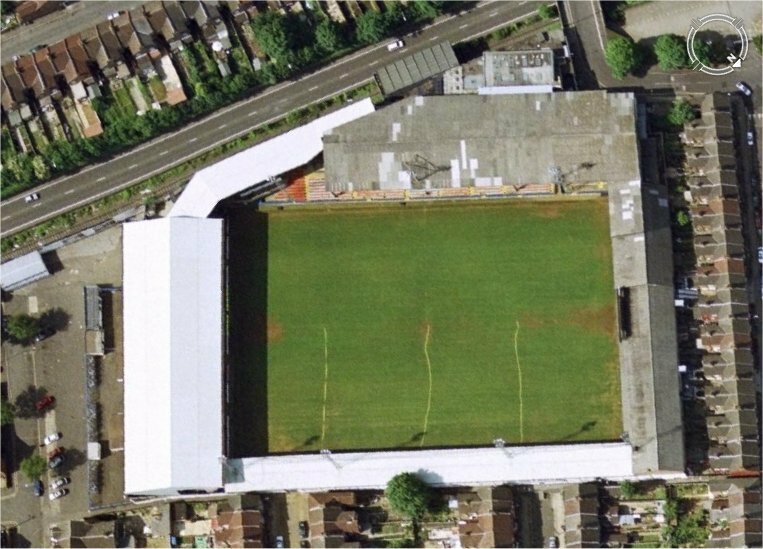 There is no car park at the ground, and there is limited space available in the streets around the ground. If you are early, you can find a space close by, but the street parking fills up quite quickly. There is a multi-storey car park in the town centre. Follow the signs for the Galaxy Centre Leisure Complex. 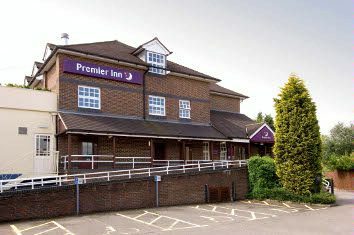 Email us to recommend any local attractions near to Kenilworth Road and we will list them here. Email us to recommend any pubs and restaurants near to Kenilworth Road and we will list them here.